Create an Elegant, Simple Landing Page with About.Me | It's not your tech, it's how you use it. If you’re wary of making your Facebook profile public or you don’t feel like putting all of the time and energy into building your own Web site just to stake your claim on the Internet or make a digital business card for yourself, you might think you’re out of luck. 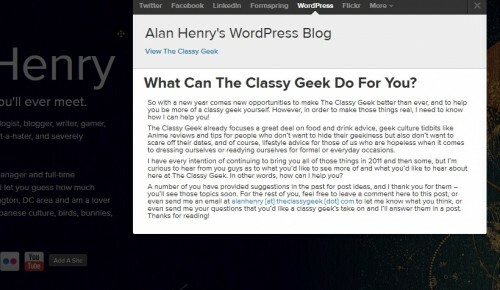 If you’re more a technology geek than any other kind of geek, you probably already have a personal Web site or blog, but sometimes you don’t want just anyone to come to your blog and see what you’ve been writing – or more likely complaining about. What you need is a simple landing page with some basic information about who you are, how you can be contacted, and maybe a little information about what you do for a living or how people can find you on the social networks you do want to share with the world. I know what you’re thinking now – if you’re a web designer, you can do it yourself in a few minutes. If you’re not, you’re probably thinking about how long it’ll take, what platform you’ll have to use, and whether you’ll have to pay someone to do it. Well worry no longer – free service About.me allows you Moncler outlet to create custom landing spaces for yourself with some easy-to-use utilities that roll in your social networks, links to where people can find you or your work on the Web, and only the information you feel comfortable sharing with the public. Best of all, it’s easy to use, quick to set up, and offers enough customization options that you can make one that really reflects your sensibilities. I snapped up an account a while back, and even though I have my own site (not including this one) over at Nova Netwerks, you can never have enough controlled, simple, and elegant landing pages – if for no other reason than to have a nice URL to add to your e-mail signature when you’re sending mail to someone important enough that you don’t want them to think you live in the dark ages. First of all, don’t go into this thinking it’s a personal Web site that you can build in a vacuum and stand up without linking to anything else. About.me isn’t a blogging service, it’s not a social network, it’s not a page where you post status updates and have tons of friends peeking at it on a regular basis from an ever-growing pool of people who claim to know you. What About.me really is is a landing page – a place you can drop into your e-mail signature or into your profile information at Twitter or Facebook when it asks you for a URL. It’s designed to give you something like a business card on the Web, where you can post a photo or classy design in the background, but link to the sites you want to direct people to in the foreground. That also means that About.me won’t work if you don’t have other services to link it up with. Most people – myself included – link to their Facebook accounts, Twitter accounts, and other social networks first. About.me supports all of the major ones you can think of – Twitter, Facebook, LinkedIn, FourSquare, and more. 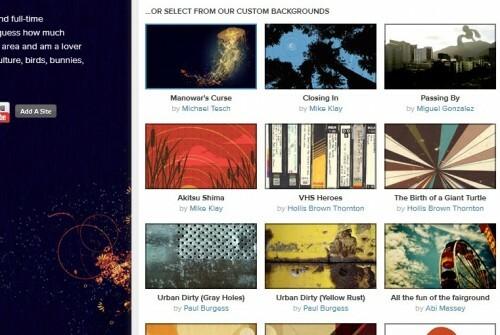 You can also use About.me to link to your Flickr account, your YouTube account, and show off some of your most recent photos, videos, or favorited videos. The service also lets you link to blogs you may have elsewhere on the Web, including a self-hosted WordPress install, a Tumblr account, a Blogger account, and more. Ultimately, About.me brings in the best of the Web that you already own and control – regardless of whether you own or host it yourself – and shows it to visitors that you specify. That’s what I mean when I say it’s more of a business card: when you give people your About.me URL, you’re giving them information about yourself that you want them to see. If you don’t want them to see your Facebook profile, just remove it – if you’d rather link to your own self-hosted blog, you can do that too. The one thing you should note when setting up About.me that gave me some pause is the level of permissions that About.Me requests for services like Facebook and Twitter. In Piumini moncler outlet some cases, it’s because of poor design and a lack of read-only permissions (I’m talking to you, Facebook) but About.me doesn’t just link people to supported services, it pulls in some data from those services and presents it to the viewer. For example, when you link About.me to your Facebook account, the service then shows a visitor your most recent status updates, photos, and friends if they click on the Facebook icon on your page (you can turn any or all of these off, by the way.) Your recent tweets appear if you link Twitter, your latest photos if you link Flickr, and your latest blog post if you add a WordPress, Tumblr, or Posterous blog, for example. Your last favorited video appears in the YouTube window. Depending on what you do and don’t want your About.me page visitors to see, some of this might be a bit intrusive, and you may want to be a bit more restrictive of the services you add rather than just add all of the accounts you own just for the sake of populating a page. If you don’t want to use the integrated services though, you can always add a flat link to the service that only shows what’s publicly available there. None of this is bad, but you should always be aware what you’re making public when you integrate one service with another, and you should definitely think it over before you link a service to your About.me page, consider what you want the page to say about you to the world, and then log out and try it like a potential visitor to see what they would see about you when they curiously click around the page. The best thing about About.me in my opinion is that while you start off with a pretty plain and basic profile page, you can – with virtually a few minutes effort – create something entirely unique and new that reflects your personality. You can make something bare and stark and very clean, or you can design something that’s whimsical or over the top. 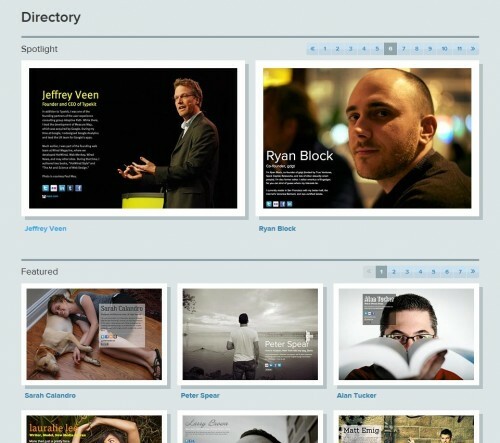 All it takes is a quick glance at the About.me directory to see what people are doing with their profile pages. A number of people choose to upload a really sharp looking high-resolution photo of themselves and then position their name and linked services in some negative space around their face – that’s all well and good, but if you don’t have a photo of yourself you don’t mind having blown up to 1024 x 768 (or 1680 x 1050 maximum) you can select from the service’s pre-installed backgrounds, all of which are gorgeous pieces of art from artists that have provided their work for use. Of course, you can also completely customize the color palate used for the text and the background, you can tweak the fonts for your linked services, for the text that you’ve added including your name, your personal description, and even the text next to the flat links that you can add if you link to a personal blog or site that doesn’t have a corresponding service. By the time you’re finished with all of the customization options (or if you just accept what’re pre-set) you’ll have a landing page you can be proud of. That’s All – Start Linking! When everything is said and done – and remember, the page design is completely customizable later as well, so nothing you do at first has to stay that way if you decide later on down the line https://www.insomniapharmatol.com/tag/moncler-online/” title=”moncler online”>Moncler online you want one of those gorgeous blown-up photos on your About.me page – just close the editing panel: your changes are saved automatically. Now you’re ready – just grab your about.me/hopefully-your-name URL and start adding it to your profile information on Twitter and Facebook, use it to fill in the URL field when you comment on blogs on the Internet, add it to your Google profile, and add it to your e-mail signature. Before you know it, people will use your About.me URL as the de-facto destination to learn more about you on the Web. It’s beautiful, it’s elegant, and it’s simple…and it only took you a couple of minutes to set up.